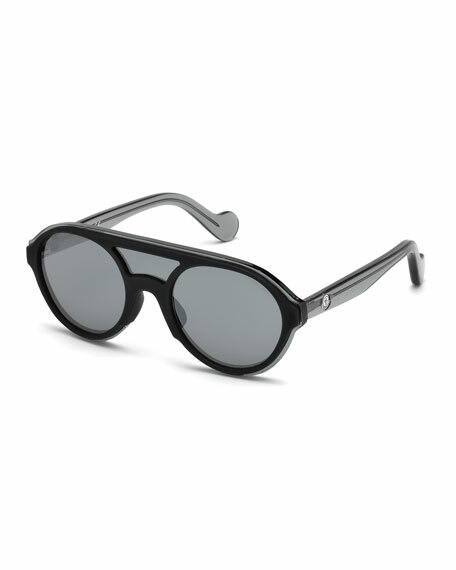 Moncler sunglasses in injected plastic. Rounded shield lens; logo script at left. For in-store inquiries, use sku #2635675.